Von 1975–2004 wurden 38 Kinder mit Arthrogryposis multiplex congenita betreut. Die angeborenen Gelenkkontrakturen verlangen oft aufwändige Eingriffe. 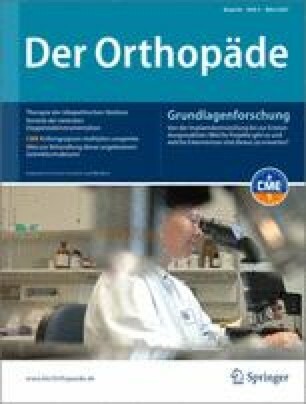 Die Aussichten für selbstständiges Gehen sind bei der distalen Arthrogrypose groß. Dagegen bleiben bei Amyoplasie zeitlebens Hilfsmittel notwendig. Ziel aller Habilitationsanstrengungen sind selbstbewusste Erwachsene, die trotz ihrer Einschränkungen ihr Leben meistern. Die Hüftsituation variiert von einer weitgehend normalen Hüfte bis zur teratologischen Luxation. Deren operative Behandlung erreicht begrenzte Vorteile, aber kaum verbesserte Beweglichkeit. Die Kniekontrakturen werden aktiv behandelt, um eine verbesserte Sitz-, Steh- und Gehfähigkeit zu erreichen. Der häufige arthrogrypotische Klumpfuß verlangt ebenso wie der arthrogryposebedingte Schaukelfuß aufwändige konservative und operative Hilfen. Die Ellenbogenstreckkontraktur wird nach erfolgloser konservativer Therapie auf einer Seite operativ behandelt. Für die Schulter-, Hand- und Fingerkontrakturen existieren geringe konservative und kaum operative Verbesserungsmöglichkeiten. From 1975 to 2004 a total of 38 children handicapped by congenital multiple arthrogryposis were cared for. The congenital joint contractures demand a major effort in terms of surgical reconstruction. In the case of distal arthrogryposis the chances that patients will be able to walk without help are good, while those with amyoplasia are likely to be dependent on mobility aids throughout their lives. The ultimate goal of treatment for patients is to develop into self-confident adults who can cope with life despite their handicaps. The hip in arthrogryposis shows variable forms of pathology, ranging from the almost normal hip to hip contractures with dislocation. Its treatment has some limited advantages, but hardly improves mobility. The knee contractures are actively treated to allow patients to sit, stand and walk better. The club foot and the rocker-bottom foot need sophisticated conservative and operative treatments. If conservative manipulation of bilateral extension contractures of the elbow fails operative treatment is carried out on the dominant side. For shoulder, hand and finger contractures conservative manipulation brings about little improvement, and surgical approaches help hardly at all.